Flower Power! 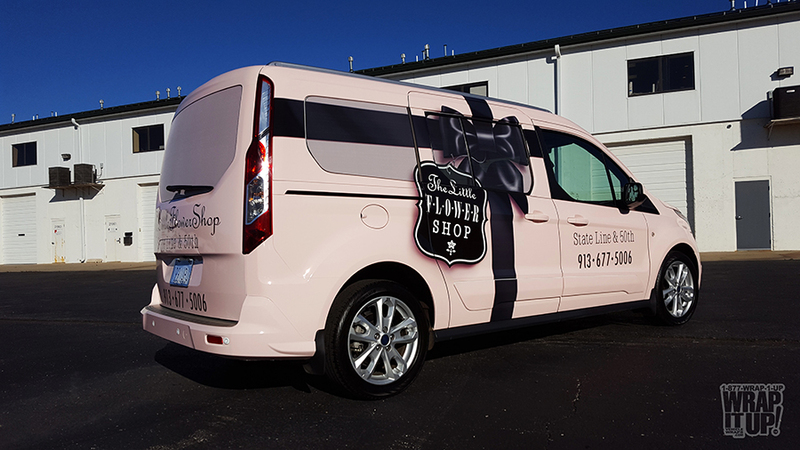 Get a whiff of this fresh van wrap for The Little Flower Shop of Kansas City. To that average person there is not much to this design, but we took great care in making sure that every aspect from color choice to placement fit exactly where it belonged. If you want that same care when it comes to your floral arrangement make sure you visit The Little Flower Shop. The Little Flower Shop carries only the freshest premium flowers.Thanks The Little Flower Shop!